Michael and Sophie came to us with a request for a wedding invitation influenced by 20th century graphic design, they wanted something clean and bold that would work with their London based wedding. We created this screenprint inspired design for them along with matching place settings and menus. 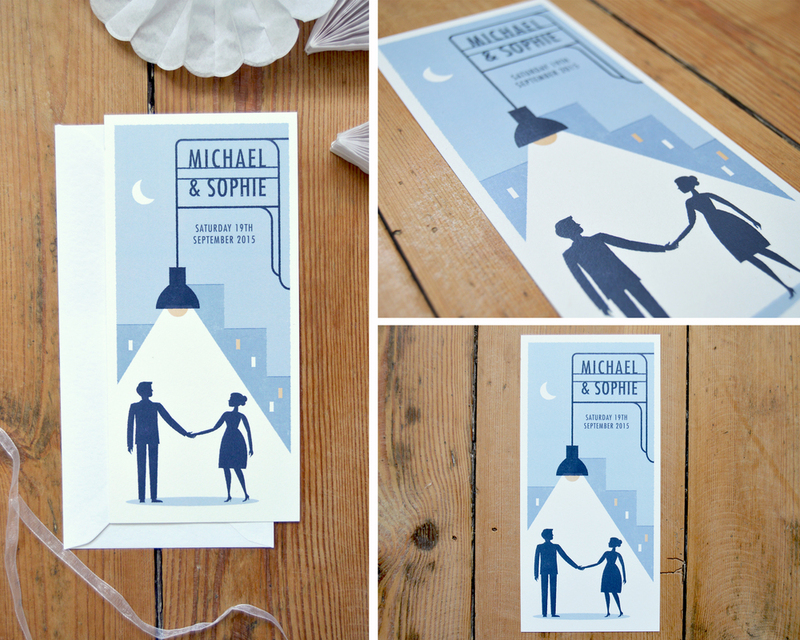 It's so great to be able to give couples stationery that they feel really suits them on their wedding day!